Many Americans are interested in practicing shamanic or Native American tribal traditions partly because they emphasize personal religious experience rather than faith in a distant God. The author of this site strongly supports and encourages an interest in personal religious experience. 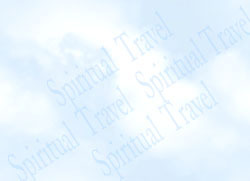 Much of the religious experience present in these shamanic traditions can be classified as spiritual travel. However, attempts by persons who are not members of these tribal groups to participate in these traditions are problematic. This is because the vast majority of native people in these traditions will tell you that a person must be born into these tribes to properly practice the tradition. This is not an arbitrary or selfish statement on their part. There are good reasons that justify such claims. These shamanic traditions are tightly bound up with a group of tribal ancestors who have an interest in guiding and protecting the tribal members. If a non-tribal member wants to contact ancestors, who will he or she contact? There is no tradition of being helped by ancestors in the Judaeo-Christian tradition. So the question arises: "With which ancestors are these modern-day non-Indian shamans in contact?" It is theoretically possible for the tribal ancestors to "adopt" a non-native person into the tribe, but why would they wish to do so? Certainly a non-Indian person cannot "adopt himself" into the tribe (i.e. claim new ancestors) anymore than a child can walk into the house down the street and tell the residents he or she in now their son or daughter. In addition, the shaman's role of healer and priest is based on a close-knit long-term relationship with a tribal group which trusts his or her judgment and skill. A group of people who show up at a "shamanic workshop" do not constitute a legitimate and cohesive community that resembles the tribes of indigenous peoples. So what group is it that looks to these contemporary shamans for spiritual direction and spiritual vitality? Other religious groups have a means of accepting new members that were not born into them through the process of conversion. Medieval Christianity has the tradition of being baptized and becoming part of the mystical body of Christ, and the communion of saints. Mainline protestantism allows a person to adopt Jesus as a personal savior to become "saved" or "born again" and become a part of the church. Hinduism and Buddhism both have the tradition of initiation where a disciple accepts an individual as a guru and joins a lineage which in some ways is like a family. However, non-tribal members attempting to join a Native American tradition are going against the grain of that tradition. Such a convert is subject to being labeled a "plastic shaman", and will likely be resented by the true members of the tribal group. This is especially true if the practitioner makes money from the practice. Individuals can still go on shamanic quests, have initiatory sicknesses, go into the underworld and experience the disintegration and reintegration of the self, experience a spiritual death and rebirth, and generally have similar experiences to those outlined by Dr. Eliade in his book Shamanism: Archaic Techniques of Ecstasy. However the capacity of the new shaman to heal his or her community may be difficult or impossible since there is often no community that seeks such healing. These tribal traditions have many attractive elements and it is understandable why many would wish to be involved in them. However, if one is interested primarily in spiritual travel, there are other ways to pursue this interest apart from using these shamanic methods and imitating tribal groups.